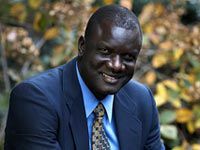 Summary (from the inside flap of the book): One of thousands of children who feld strife in southern Sudan, John Bul Dau survived hunger, exhaustion, and violence. His wife, Martha, endured similar hardships. In this memorable book, the two convey the best of African values while relating searing accounts of famine and war. There's warmth as well, in their humorous tales of adapting to American life. For its importance as a primary source, for its inclusion of the rarely told female perspective of Sudan's lost children, for its celebration of human resilience, this is the perfect story to inform and inspire young readers. 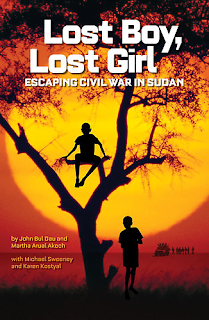 Review: I have read a couple books about the Lost Boys of Sudan and have seen the documentary about John Bul Dao (the author of this book) and his friends as they left their Kenya refugee camp and came to America. All of them were interesting and I feel like I learned even more by reading this book. First, I have never heard about the Lost Girls of Sudan! I realize now that girls are never mentioned in the other books and documentaries. I'd never seen photos of them either. It turns out that girls were given to adults and couples in the refugee camps so that they were taken care of while boys were left to fend for themselves. In the first five pages I learned a couple interesting things: lions stalk their prey by peeing on the grasses on one side of the herd then going to the other side. When the victims smell the pee they run in the opposite direction, directly into the lions. Very clever. The other thing is that the Dinka, John's tribe, choose the fastest runners as children and train them to be "bringers". Bringers run directly at lions, stab them, and act as decoys as the rest of the village men attack the lion. What a job! 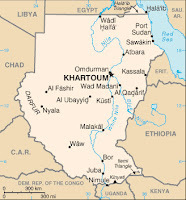 The story of the Lost Boys is a well known one by now: the Arab government in the north of Sudan sent soldiers to attack the mostly Christian villages in the south. Villages were burned to the ground, women and girls were kidnapped, raped and the men and boys were killed. Thousands of boys (and some men) managed to escape, walking for months through the Sudanese bush. Those that survived the walk ended up in refugee camps in Ethiopia until the Ethiopian government drove them back into Sudan. The final destination was Kukuma, a refugee camp in Kenya. In the early 2000s the United States took in 3,000 Lost Boys, giving them housing, groceries and rent money for three months then they were on their own. Martha and John were part of this program. 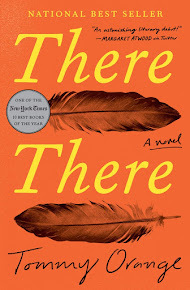 I like that the book includes background on the Dinka and their lives in Sudan before the war, their horrifying experiences during the war and their escape, time in the refugee camps, and what it was like to come to America and meet one another. We also get an update on what happened to their families. Click to see my updated Google Map. Sudan has gone through so many changes in the last few months, the most dramatic of which is that it split into two countries! Southern Sudan, where most of this book takes place, is now officially its own country, South Sudan. How cool is that?